Manufactured in our Salt Lake City, Utah plant facility, you can be assured that you are buying authentic “American made” products. After years of experience we have perfected the manufacturing process. Through the innovative eyes of our own staff and expertise of our raw material suppliers, all weather has cultivated a network of forward thinkers. Here you can find all of our products we manufacture in Salt Lake City, Utah. We take pride in our products and our craft. 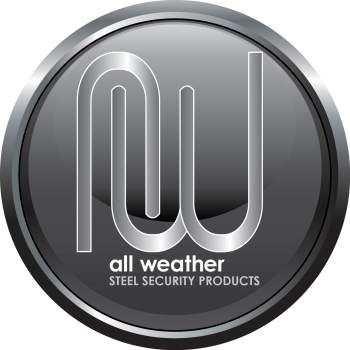 Using steel as our main fabrication component we have developed a line of products that combines functionality, strength, and of course the all weather dash of style. All of our products are original unique concepts that we have engineered through years of industry experience.